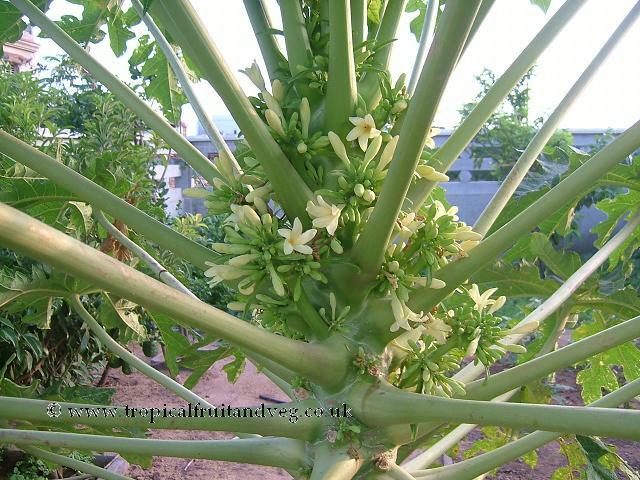 The papaya 'tree' is actually a large herb that grows 1 to 3 m in the first year and reaches 6-9 m in height, with a hollow green or deep-purple stem becoming 30 - 40 cm or more thick at the base and roughened by leaf scars. The leaves are green and emerge directly from the upper part of the stem in a spiral and can grow up to 40cm long. The life of a leaf is 4 to 6 months. 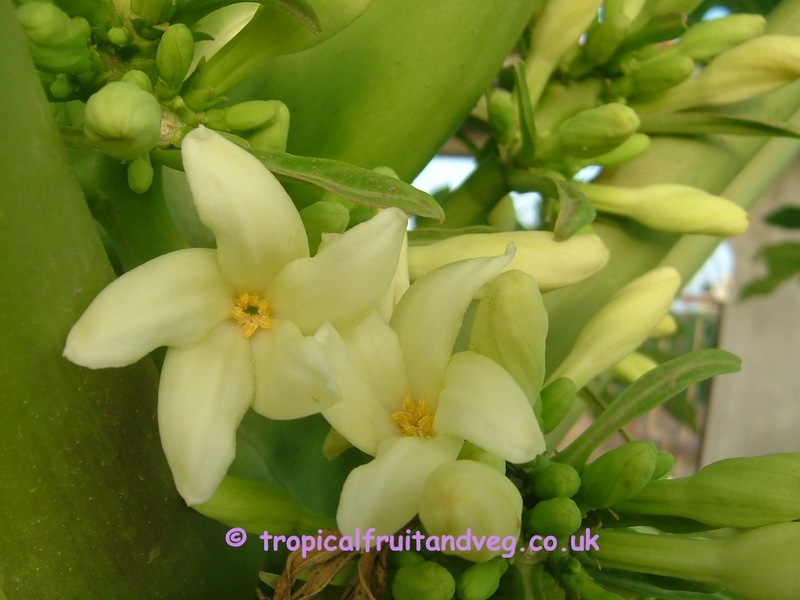 Both the stem and leaves contain white milky latex.The 5-petalled flowers are fleshy, waxy and slightly fragrant. Generally, the fruit is melon-like, oval to nearly round 15-50 cm long and 4 to 8 in 10-20 cm thick weighing up to 9 kg. The skin is waxy and thin but fairly tough. When the fruit is green and hard it is rich in white latex. As it ripens, it becomes light or deep-yellow externally and the thick wall of succulent flesh becomes aromatic, yellow, orange or various shades of salmon or red. It is then juicy, sweetish and like a cantaloupe in flavour. 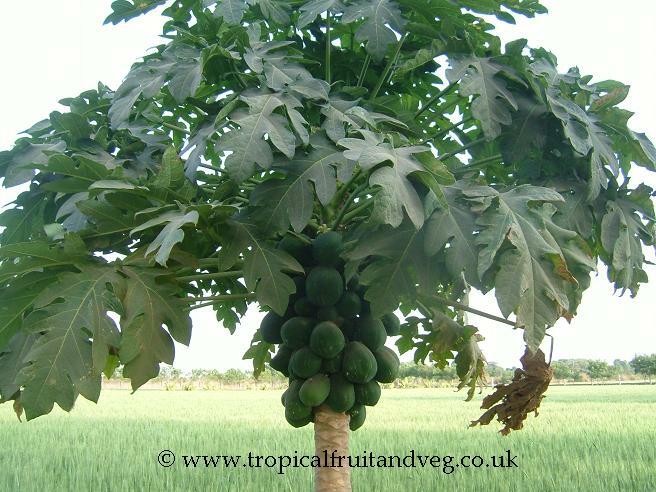 Ripe papayas are most commonly eaten fresh, merely peeled, seeded and cut into wedges. 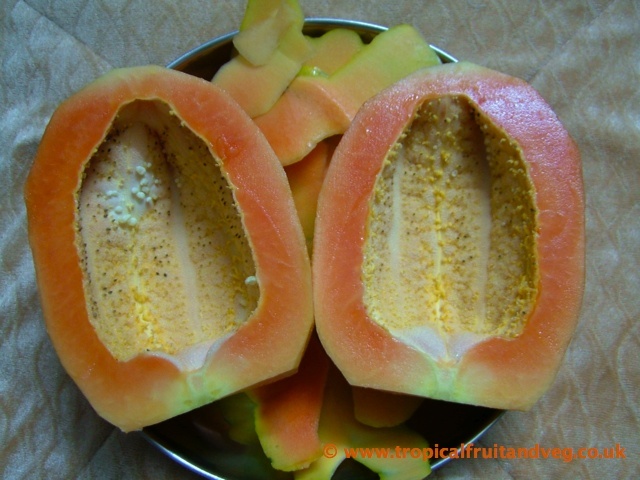 Papaya juice and nectar may be prepared from peeled or unpeeled fruit and are sold fresh in bottles or canned. Raw green papaya is frequently used in Thai and Vietnamese cooking but it is usually cooked first. 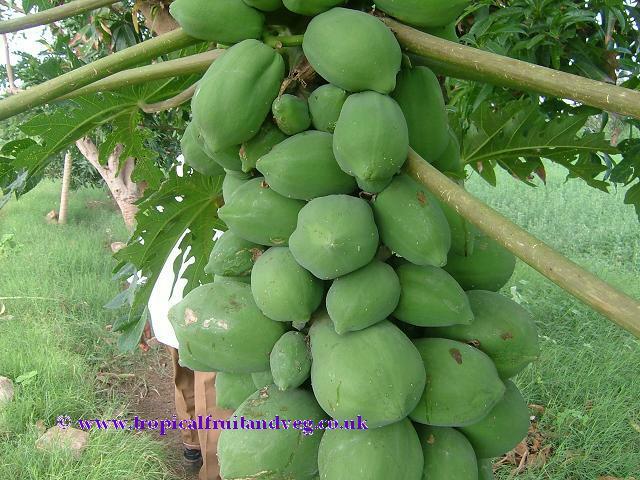 Papaya (both fruit and seed) has antibiotic properties. 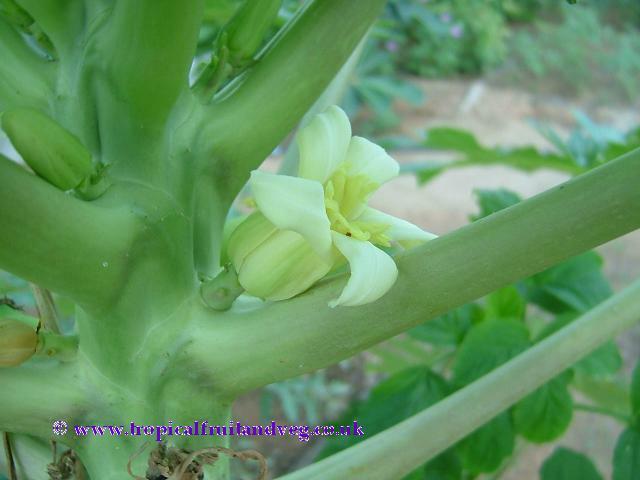 The papaya is a tropical plant, very sensitive to frost. It needs plentiful rainfall or irrigation but must have good drainage. Flooding for 48 hours is fatal. Brief exposure to 0� C is damaging, prolonged cold without overhead sprinkling will kill the plant. While doing best in light, porous soils rich in organic matter, the plant will grow in scarified limestone, marl, or various other soils if it is given adequate care. Optimum pH ranges from 5.5 to 6.7. 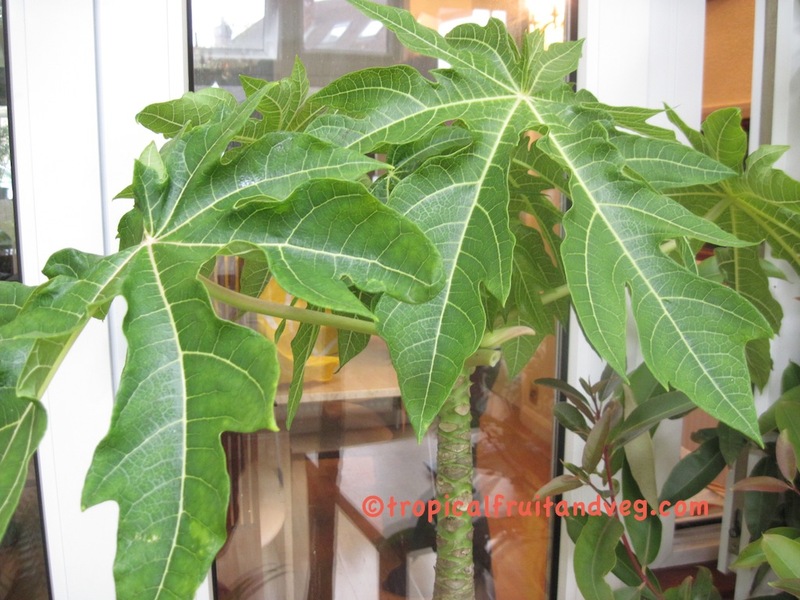 Papayas are generally grown from seed. Germination may take 3 to 5 weeks. It is expedited to 2 to 3 weeks and percentage of germination increased by washing off the aril. 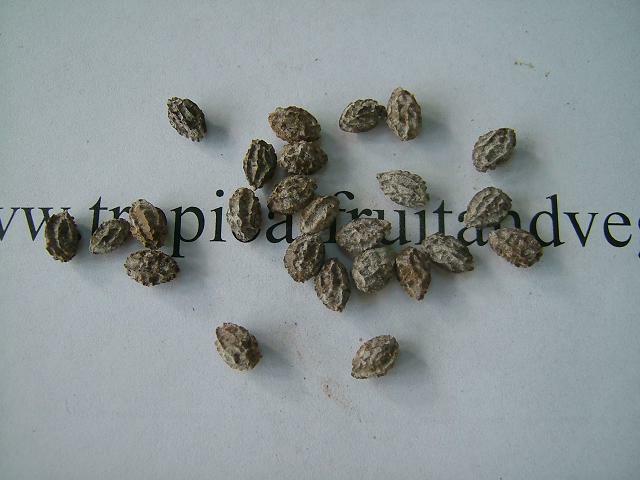 Then the seeds need to be dried and dusted with fungicide to avoid damping-off, a common cause of loss of seedlings. Well-prepared seeds can be stored for as long as 3 years but the percentage of germination declines with age. Dipping for 15 seconds in hot water at 70� C and then soaking for 24 hrs in distilled water after removal from storage will improve the germination rate. If germination is slow at some seasons, treatment with gibberellic acid may be needed to get quicker results.